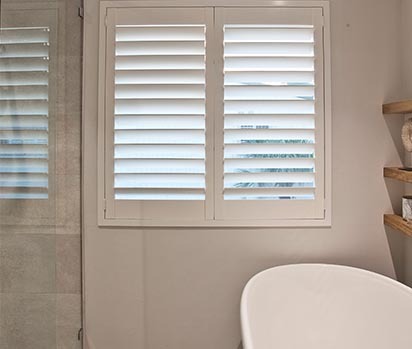 Altra Shutters allow for you to control light and privacy by tilting the adjustable slats. The Altra Aluminium Shutter is designed to simulate the appearance and clean lines of a timber shutter while delivering all the strength and beneﬁts of an aluminium shutter. The Altra Shutter’s aluminium construction provides key beneﬁts in terms of weight, durability and allowing for the manufacture of wide panels.